You know what that means. Not having to get up and get ready for school. Hubby doesn't go to work. The house should gets a good cleaning. Errands. Basketball games. Basically a regular free-for-all. Here on the blog that means another Slow Cooker Saturday. 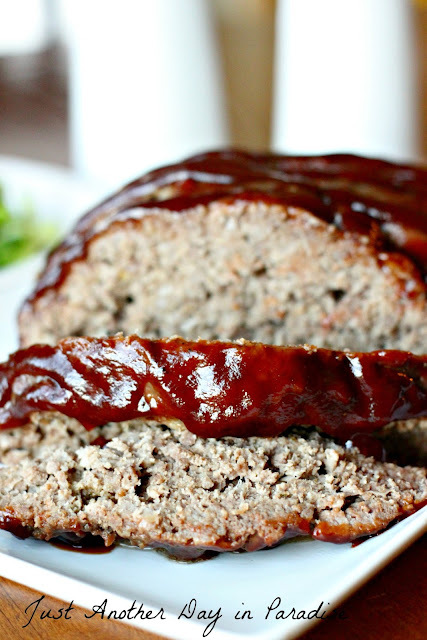 Today I am sharing this recipe for Barbecue Meatloaf. Say what!? Cooking a big ol' loaf of meat in the slow cooker? Say it ain't so! I had some trepidation too people. Believe me I did. I am not gonna lie. I enjoyed this meatloaf quite a bit. This was such an easy meal to make. Mix all the ingredients. Put it into a slow cooker. Let it go. Enjoy the BBQ smell all day long in anticipation. Slather in more BBQ sauce. Serve with a simple side of veggies, since the meatloaf is a meal in of itself. We had leftovers, not for a lack of enjoying, but more so because this makes A LOT of meat. The next day those leftovers were used in making meatloaf sandwiches. While I passed, because this girl can only take so much meat so many days in a row, the menfolk, both of regular and of little variety enjoyed themselves a Meatloaf Sandwich. I have really been enjoying this Slow Cooker Saturday. I said that at the beginning of all of this that I had not traditionally used my crock pot, except for a very few family favorites. I am not sure why, but I am glad that Slow Cooker Saturday has allowed me to expand my crock pot cooking. I even just bought a new slow cooker cookbook which I am excited to give a try. It is from the people at one of my favorite cooking shows. I already have several of the recipes marked. Don't worry I will talk more about it soon. 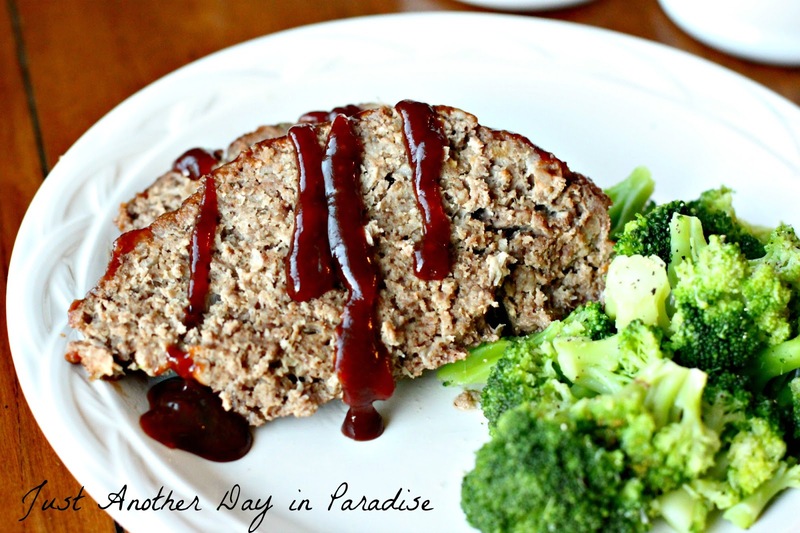 I am sure you will enjoy this Barbecue Meatloaf as much as we did. In a large bowl, mix the beef, sausage, bread crumbs, eggs, Ranch, onion, salt, and garlic powder all together by hand. Add to your slow cooker and form the meat into a loaf shape. Spread the 1/3 cup BBQ sauce over the top of the meatloaf. When it is done, remove it from the crock pot (there might be some residual liquid in the slow cooker) and place on a platter. Drizzle with more BBQ sauce. 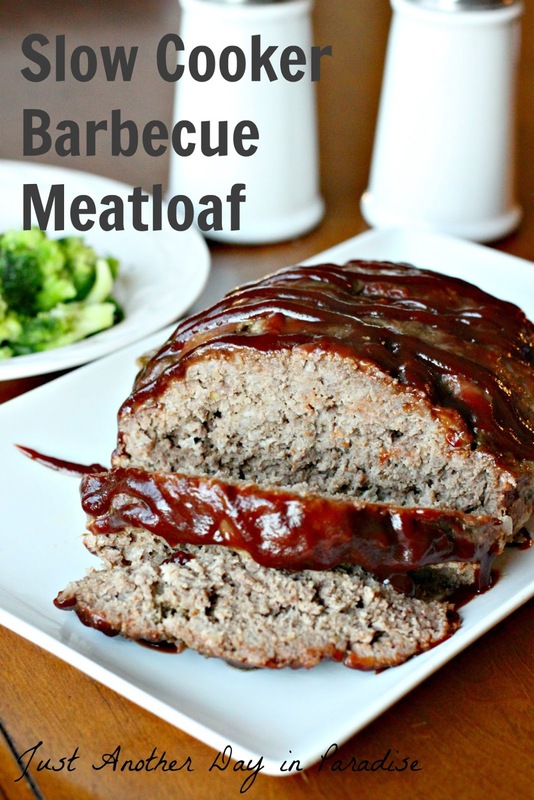 I'm not a meatloaf fan but this looks fantastic! Me either! It was super yummy. The men thoroughly enjoyed it. Your recipe looks so good! pinning to save. It's Slow Cooker Saturday woot woot! My other half detests ketchup, and most meat loafs are made with ketchup. I was so happy to read the ingredient list and do a little dance! 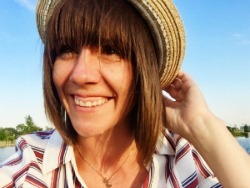 I love your recipes because they're not the "usual" slow cooker ones I find or already have. Thank you for sharing! It was great. I will eat the monitor. I will try to cook that. I have been in Argentina where the meat is so good. You can not imagen, it is great. I haver rented an apartment in buenos aires and it was a very nice trip. Also the ice cream in Buenos Aires,terrific. Thank you for your knowledge.